Prime Minister Theresa May have spent over two and a half-year to negotiate with EU to leave the European Union. Later on today, the Parliament will vote on the deal and the question is not whether Mrs May loses but how badly it will be. The opposition party will vote against her deal on Tuesday, and a defeat by more than 100 will be the worst since 1924. In other words; the Brexit deal is set to be rejected in the biggest Parliament defeat for a British government in 95 years, according to Bloomberg. 10% of the business is with the EU and 90% is outside of the EU. More than 30 million people voted on the EU referendum in the U.K. Leave won by 51,9% to 48,1%, and the referendum turnout was 71,8%. The referendum was held on Thursday 23 June 2016. Since then, Theresa May have made a deal with the European Union. England voted for Brexit by 53,4% to 46,6%, and Wales voted for Brexit with leave getting 52,5% vs Remain 47,5%. Scotland and Northland Ireland both wanted to stay in the EU. Scotland voted to Remain by 62% vs 38%, while Northern Ireland voted for a Brexit at 44,2%. The idea to the European Union started right after World War II, and the idea is to avoid a war with each other by having European countries to trade together. There are 28 countries in the EuroZone and that is not the same as the European Union which is «only» 19 countries with its own parliament, sets of rules and the same currency; the Euro. The EU is an economic and political partnership and the idea is that countries which trade together were more likely to avoid to go to war with each other. People from the member states can move over the borders without any questions and so can goods and money. Article 50 of the Lisbon Treaty gave PM Theresa May and the EU two years to come to an agreement. Both parties scheduled to leave the EU at 11pm UK time on Friday, 29 March 2019, but a European court has ruled that the UK can decide to stop the process. It can also be extended if all the 28 EU members agree. Communist Jeremy Corbyn wants to try to force a general election if there is no deal later today, and if the UK`s main opposition party Labour succeeds, they wants to go back to Brussels and negotiate a new version of Brexit. PM Theresa May has warned Conservative Mps thinking of voting against the deal she has reached with the EU that they risk «no Brexit at all». That happened in another referendum which was backed by the SNP, the Green Party, Plaid Cymru, Lib Dems, some Conservatives and a large group of Labour Mps. They want the public to be given the final say, with the option to remain in the EU. There is a 585-page withdrawal agreement. It covers the cost for the UK to leave the EU and that is an estimated £39 billion. It also proposes a method of avoiding the return of a physical Northern Ireland border. The Northern Ireland Democratic Unionist Party will vote against the deal. They have a 310 mile land border with the EU and this is a point that dominated the Brexit talk. Nobody wants surveillance cameras at the border because the question is free cross-border flow of trade and people. 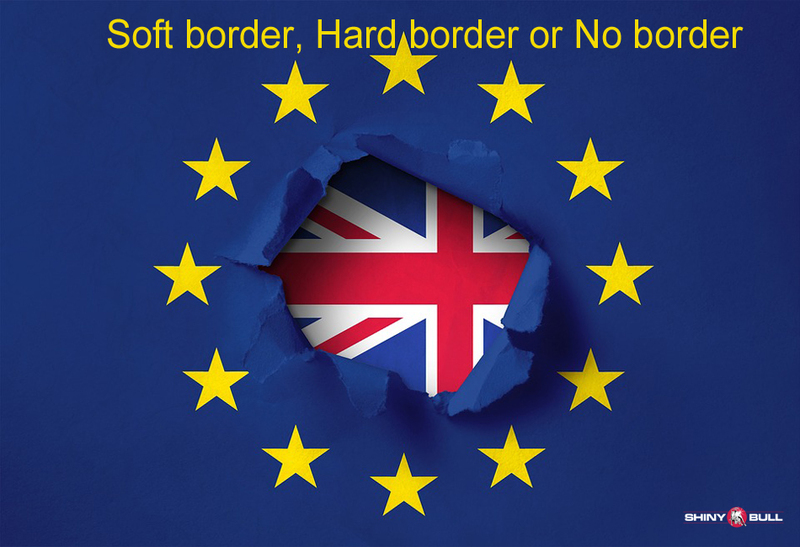 So, is it gonna be a hard border, soft border or no border at all? Both, the UK and EU agreed to put in place a «backstop» to ensure there is no hard border whatever the outcome of the trade talk between them. This is a safety net wich is good for both parties. All the opposition parties in the House of Commons and the Labour party have said they will vote against the deal. In addition; some reports say as many as 100 are also opposed to it. The Northern Ireland Democratic Unionist Party, who PM Theresa May relies on to keep her in power, have also said they will vote against it. PM Theresa May argues that if her deal is voted down, Britain risks leaving without a deal, and some think it will cause chaos at the ports and damage industry. Alternatively, she says, there will be «no Brexit at all». Mrs May need at least 320 votes to pass and so far it seems to be difficult. Some say that the deal they have today is not what they voted for. Others say it is even worse than staying in the EU. Nobody know for sure whats gonna happen if the Parliament rejects the Brexit plan, but there are a few scenarios; they can leave the EU without a deal or they can have another vote in Parliament. They can also go for another EU referendum or a general election, or Mps can remove Theresa May and start to renegotiate a deal with the EU. If some of this happens, the Brexit date of 29 March will therefore be delayed by a few months and that should be enough to renegotiate a deal if EU agree. French President Emmanuel Macron criticized the U.S President Donald Trump a few weeks ago. Macron said Trump was a Nationalist, and Mainstream Media (MSM) followed up to say that Hitler was also a Nationalist. Wow, what a comparison. What journalists in the MSM is not telling people is that even Mahatma Ghandi was a Nationalist. 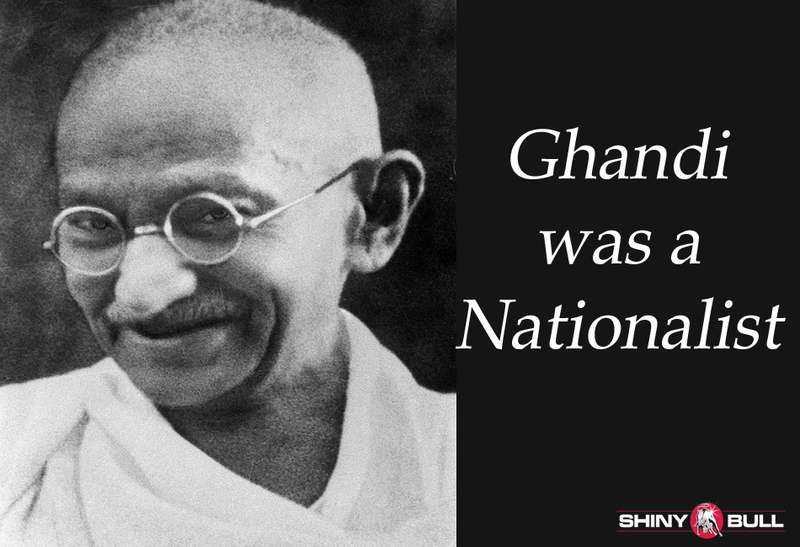 The National Movement in India and the role of Mahatma Ghandi and Non-Violence is an example. Employing nonviolent nationalist movements as his weapon, Ghandii stirred Indian men and woman to «fight» for independence without shedding blood. But Ghandi was also a populist. Just like Trump. Ghandi considered himself one, and his mission was primarily the establishment of a free, independent, culturally distinct Indian nation. He used to say that “nonviolent nationalism is a necessary condition of corporate or civilized life.” (As opposed to violent nationalism). Ghandi was also a populist. Who know that? Populist rule is bad for democracy, but despite that, we can see that populists are being voted into office in country after country. Narendra Modi win elections when the institutionalized ties between non-populist parties and voters decay. But there is a big difference between the populism we see outside of the U.S than inside. Trumps populism is good populism while many of the other populists are bad. Trumps plan is “America First,” and that`s why he is cutting taxes, made a lot of reforms and negotiated better trade deals. There is no doubt that European Union is important, but at what cost? Take a look at President Macron. The man who talked about Trump`s Nationalism in his speech while MSM followed up with Nazi stories. But who is in real trouble here? Rebels in Paris blasts Mr Macron for his gas tax hikes. The opposite of what Trump did. He cuted the taxes and the U.S economy is booming. The U.S unemployment is low while it remain high in France. This is not the fist time I`m writing about the protesters in France. This is something that has been going on for years and decades. France need to do something to make a change, but do Macron have something to learn from Trump? It remains to see. But it seems like Macron is doing the opposite of Trump who are a Nationalist and a Patriot. Trumpis doing what he can to protect his own citizens. Its all about "America First" and he wants to Make America Great again. Whats wrong with that? President Macron is a part of the European Union which is driven by faceless bureaucrats. A collaboration the United Kingdom wants to leave. A collaboration that communist Jeremy Corbyn want to join again. Done by a second referendum. But Paris rioters steal police rifle and torch cars while they are protesting fuel taxes, but the demonstrations are also an indication of growing animosity toward Macron. President Trump is on his own people`s side but President Macron seems to be against his own people with bad decisions. People in France believe that Macron is serving the interest of the EU and not the French workers. A President should represent the people, “We the People,” but the French protest movement, known as jilets jaunes (yellow vests), are protesting against its own President and the state of France`s economy as well. President Macrons popularity is low and will be so for quite some time, because he has given no indication he will bend to the peoples demand. This will give Macron`s political competitors like Marine Le Pen a huge advantage. Last week I talked about America`s fantastic growth of 4,1 percent on quarter in Q2 of 2018, and this is only the beginning. It is no doubt; President Trump must be doing something right. But, what about the European Union? GDP in the European Union rose «only» 0,4 percent on quarter in the first three months of 2018. Not much to write home about. But the growth have never been above 1 percent since the financial crisis in 2008. 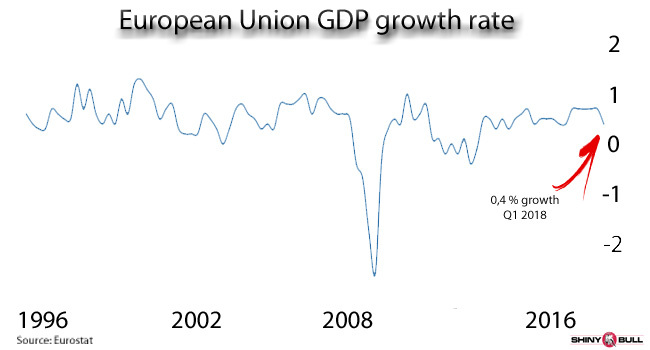 The European Union reached an all time high of 1,30 percent in 1999 and that is right before the tech bubble burst. Since then it has been a dead fish, reaching an all time low of -2,60 percent in the first quarter of 2009. 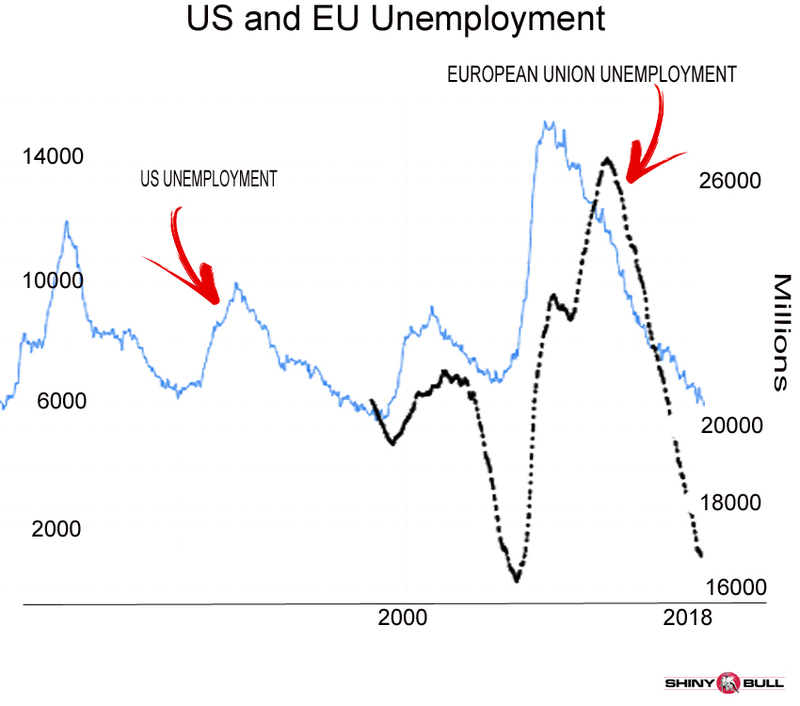 At the same time we can see that the unemployment rate reached a record low of 6,80 percent in February of 2008, and that`s right before the financial crisis. It reached an all time high of 11 percent in February 2013, but in May this year it fall down to 7 percent again. This isn`t good enough if we are living in a capitalistic world. The European Union in Brussels are nothing more than unelected bureaucrats. Draghi and the ECB have, just like Japan and the U.S «printed» a lot of money, and will continue to do so. If they can`t turn around the ship, they need to consider a strong cheerleader. European Commission President Jean-Claude Juncker had a meeting with President Trump last week. They were talking about trade, free trade and tariffs. 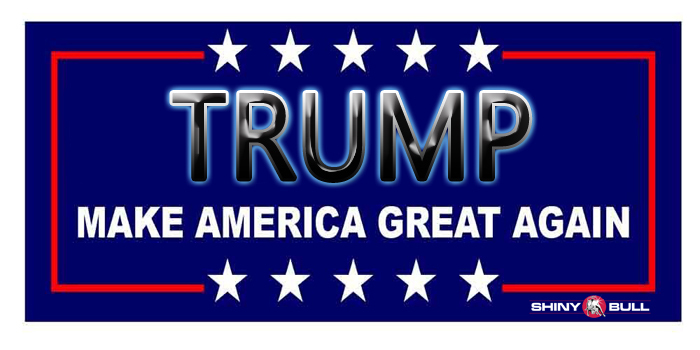 Mr Trump`s goal is to make better deals so both the U.S and the EU can take more profit and prosper. I think that the EU should be glad for that and they need to hurry up. The U.S is the world`s third biggest exporter, yet exports account «only» for 13 percent on GDP. Exports in the U.S reached an all time high of 215328 USD million in May this year, which is pretty impressive. The EU has 28 member states and the biggest among them all is Germany (21 percent of total GDP), the United Kingdom (15 percent), and France (15 percent). Exports of goods and services account for 46 percent of GDP while imports account for 42 percent, adding 4 percent of total GDP. But this is about to change. If the UK contribute with 15 percent of the total GDP in the EU, then what will happen to their growth after Brexit? That being said; nor is the UK a success story. The British economy grew by 0,1 percent in the first three months of 2018 and well below 0,4 percent in the previous period. It is the lowest growth rate since a 0,1 percent contraction in Q4 2012. 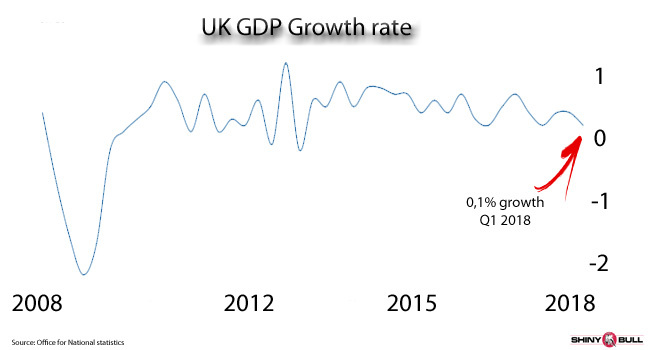 The largest contribution to growth in the UK was from household spending at 0,2 percentage points. From the production side, the service industries made the largest contribution to GDP growth, followed by production. Agriculture, the smallest component within the output approach of GDP made no contribution to growth to one decimal place, while construction deducted from GDP growth. The service industries increased by 0,3 percent. Positive growth was recorded within all sub-sectors of the services industries; distribution, hotels and restaurants (0,1 percent vs -0,1 percent). President Trump have repeatedly said that the EU have treated the US very bad. I have written many articles about that long before Mr Trump`s inauguration. The European Commission has fined Google €4,34 billion for breaching EU antitrust rules this month. In May 2009, Intel was imposed with a 1,06 billion euro fined for abusing its market dominance on central processing units. Microsoft has been in trouble with the Commission on several occasions. In 2004, the Commission ruled that Microsoft had abused its market dominance. In 208, the Commission fined Microsoft nearly 900 million euros for charging «unreasonable» royalty fees. In 2013, another fine of 561 million euros was imposed on Microsoft. This time for failing to comply with the Commission`s ruling that it had to allow users to more easily choose a prefered web browser. The European Commission fined Facebook for 110 million euros in May this year in relation to its takeover of WhatsApp. Facebook acquired the messaging service in 2014 for $19 billion, but provided the Commission with misleading information about the acquisition. In August 2016, the Commission ruled that tech giant Apple had received illegal tax benefits from Ireland worth up to 13 billion euros. Ireland was ordered to recover the unpaid tax from Apple, plus interest. Now, under President Donald Trump, big companies like Apple are moving home to the United States with billions of dollars. Apple alone, are bringing in $230 billion. They will build new plants and a magnificent campus. They will spend their money wisely and the money will be in the U.S. All this is possible because of Trump`s tax cuts and reforms. This is how you make growth. There is no doubt; Trump is a great negotiator. The best in decades. He know how to play this game, mainly because he is a business-man. He made a deal with “the rocket man” and now he is making a deal with the EU. Mr Trump is making America great again, and Trump is a good cheerleader. US and EU agreed today to work toward zero tariffs and zero barriers. European Commission President Jean-Claude Juncker didn`t reveal any details on what they specifically agreed to. Nor did President Trump. The farmers have supported Trump despite the fact that the prices of Soybeans has plummeted. Now, this has changed. The European Union is starting to buy soybeans from the U.S immediatly and EU is a new market that have opened up for them. That`s what I call business. Foe or frenemy? Trump calls EU leader “smart” after ripping Europe. So, why is a trade agreement so important? International trade is important for the Netherlands and the European Union. Like international investment, it generates economic growth and employment. Around a third of the Netherlands` national income is related to trade. 59% of the Dutch population work for a company that imports and/or exports goods and services. In addition, 800,000 people work for foreign companies operating in the Netherlands. Trade is therefore very important to their economy. That`s why the Dutch government aims to make effective international trade deals. Like the Transatlantic Trade and Investment partnership (TTIP) between the EU and the US. The Netherlands stands to gain from this trade agreement between the EU and the US. The Dutch and American economies are already closely linked. The Netherlands is the third largest investor in the U.S. While the U.S is the Netherlands` largest trading partner outside the EU. The Netherlands exports goods to the value of €20 billion to the U.S every year. European carmakers climbed after President Donald Trump backed off his threat to levy tariffs on cars imported to the U.S during a meeting with Juncker. Many automaker shares jumped on Thursday after the good news. Mr Trump is a winner and America is back.